The relevancy of the message of the angels to the shepherds is as important today as when they were first spoken. Like those days, the time in which you and I live are days when “good news of great joy” is the right message for today. Our human race has made efforts almost since time began to cure itself with disastrous and deadly results. Peace agreements between nations and neighbours are at best short-term. 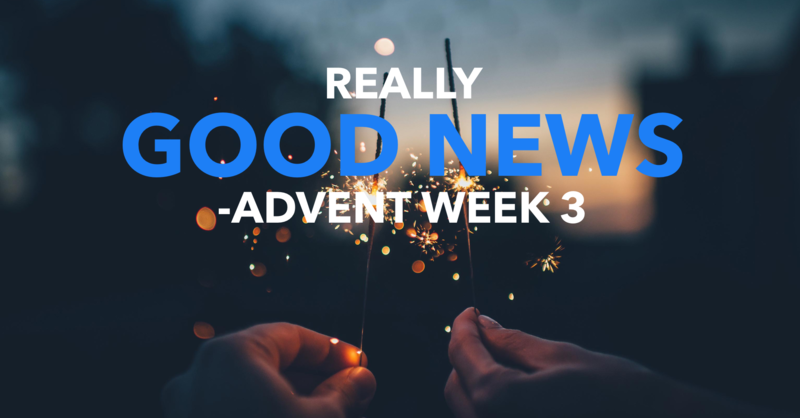 We are in desperate need of good news of great joy. Notice that this good news is for “all people.” For the rich, and the poor, for the faithful and the unfaithful, for the sophisticated and the simple, for the beautiful and the ugly, the birth of Jesus is the best news that God could ever give us! We read in Romans 3:23, which is stated factually and without emotion, “All have sinned and come short of the glory of God.” Meaning, we all need help! That “desperateness” is described by the biblical writers in terms of being without hope! As it were, we are unable to call the 24-7 hotline for assistance on our own, we cannot even lift the phone to our mouths to talk to get that help! Joy for human beings is like cool water in the midst of a hot, humid sticky summer day after not having a drink all day long. The birth of Jesus brought to everyone the possibility of drinking deep from the well that only God could give us. But our problem is much like one which the Old Testament prophet Jeremiah wrote about, “My people have committed two sins: They have forsaken me, the spring of living water, and have dug their own cisterns, broken cisterns that cannot hold water”, (Jeremiah 2:13). This shocking description of the ancient religious people of Israel could address our modern day efforts to ease our own conscience. We are very much like them. The good news of joy for everyone is that Jesus Christ came to be our ‘spring of living water!’ What an awesome thought! After we tried to fix ourselves and made more of a mess by doing that, God comes along and tells us to stop and see what he has done! That is the story of Christmas that gives us real, deep-down joy!